This must just be my “bucket list Summer.” On Thursday, I got to see a second dream rock concert !! In July, I saw U2 with three of my closest and dearest friends at Soldier Field in Chicago. 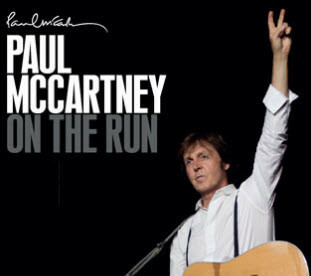 This week I saw Sir Paul McCartney in Cincinnati !!! To say I was geeked would be an understatement !! To see one of my rock heroes live was amazing. He was more than I even thought he’d be live. And, I think that was true of the 40,000+ people that went to see him. We all had images in our heads, or ideas of how we’d hope he’d perform. Everyone was probably also hoping for him to play “their” favorite song during the night. I know I felt that way and he did play my favorite song of his incredible career . . . ALL of them !!! What was surprising to me was that there were tons of people who thought he may have lost a step, couldn’t sing as good as he used to. After all, he’s very close to 70 years old !! Then it struck me. This is how most people view people at work. Most of us look to compartmentalize, or label, people based on our perceptions of what, or who, we think they are. This is not good. We continue to feed on the notion that people are bound to disappoint or detract from us. In fact, I came across a person this week in a conversation at an outside meeting, and our discussion focused around how he felt that EVERYONE would take advantage of things, or them at work. When I said I disagree and I thought that was a pretty cynical way to view people, they said, “Steve, you’re just naive ! !” I disagreed with them and we left the conversation at an impasse. By the way, the conversation was with another peer in HR !! I love that I’m naive !! I love that I went to see a childhood hero of mine expecting to be blown away by him and I was !! He played for three hours and had more energy than 99% of the people who came to see him. He told genuine and gripping stories of John Lennon, George Harrison, Jimi Hendrix, Eric Clapton (all his mates) and also about his kids, why he wrote the songs he did and more. I happened to go to the concert with my amazing wife (crushed when Paul played Maybe I’m Amazed sitting next to her !!) I also was there with another best friend (who’s my HR mentor) and his wife. We were all geeked going in and even more so coming out !! So, this next week at work, quit thinking the worst about those around you. Instead, be amazed !! Because, the truth is, the great humans around us are amazing !! Author Steve Browne (Admin)Posted on August 6, 2011 Categories HR Strategy, LeadershipTags Diversity, employees, encouragement, GCHRA, HR, HRevolution, OHSHRM, SHRM, workplace5 Comments on Maybe I’m Amazed !! 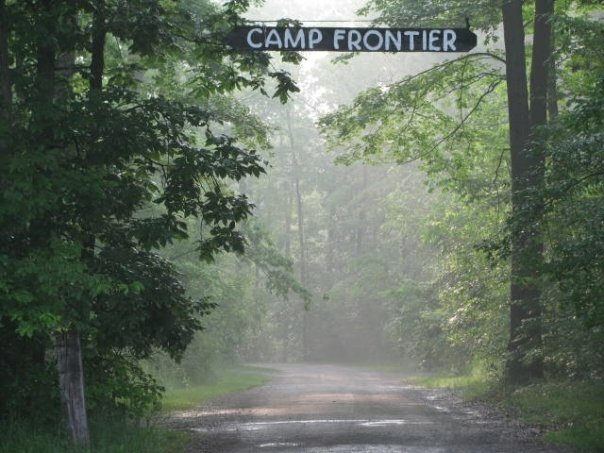 This past week I was in the woods at Summer Camp with my phenomenal son and 34 other scouts at Camp Frontier in Pioneer, Ohio. Like most of the country it was as hot as the face of the sun, but my boys and adults were amazing !! We got through the week with sore bodies and an immense amount of bug bites, but they were minimized by the lasting memories that we made together. As Troop 941’s Scoutmaster, I have two expectations for Summer Camp: (1) FUN !!!!! and (2) Be engaged – both scouts and leaders. This is never a problem for our Troop. They jump into Summer Camp with anticipation and excitement. Don’t get me wrong, it’s a ton of work !! My son took three Eagle Merit Badges along with Kayaking. That’s brutal for a schedule, trust me !! I always believe in modeling the behavior you expect from others. So, if the boys had a tough schedule, so would I. I volunteered to be a Camp Commissioner which meant that I got to visit and inspect other scout sites for the Baden Powell Award. This is the award given to Troops who meet an extensive list of achievements during the week. Our Troop has earned the award the past three years and I’m very proud of them. It’s also a great chance to network with other adults who care about Scouting and their boys succeeding. I also volunteered our site to host all the leaders for a social. During the social, I practiced voodoo HR on an unsuspecting crowd by asking them all to introduce themselves and share something exceptional about their Troop. These socials normally last 20 to 30 minutes. They left our site after two hours !! 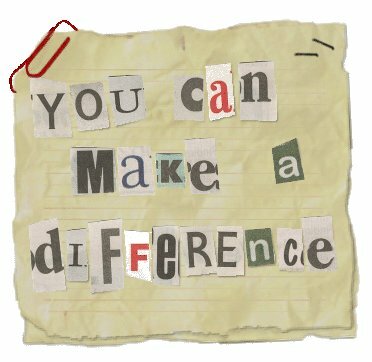 I have two incredible stories to share with you about making an impact on others. You never know if you’re truly making an impact on someone else. You rarely get to see or hear results. Check these two stories out . . . The second story is extremely touching to me. One day, two adult leaders from another Troop visited myself and one of my leaders. They had a difficult situation at their site where some older scouts were bullying a 1st year scout. We didn’t judge or want jump to the rescue. We just gave advice which is what they asked for. The leaders went back to their site, talked to their boys using our advice and the young man who was leading the bullying came to them, apologized and asked how he could make things right. The young man who was bullied had left camp, but he returned and finished the week due to these leaders learning how to model behavior vs. going back and yelling at everyone. I could write for days about camp. It’s a great reminder to understand that everyone impacts everyone with every interaction. So, as you go to work this next week, think about who you’re impacting. You never know . . . Author Steve Browne (Admin)Posted on July 24, 2011 Categories LeadershipTags Boy Scouts, employee relations, employees, encouragement, HR, Leadership, workplace2 Comments on You never know . . . I recently read a great post by my friend Jay Kuhns on his MUST read blog – No Excuses HR where he talked about unmet expectations. I find his work to be so thought provoking and it made me wonder something . . .
Do we care about what matters to our employees? I keep seeing posts on how to “fix” HR and yet few of them ever mention employees. We use phrases like “talent” “human capital” “assets” and I could go on and on. I followed much of #SHRM11 on-line and it was fascinating to see what was talked about !! It looked like a great Conference and that is great to see. But, again, I noticed that we talked about our profession, social media, legal updates and many of the same themes we see at all conferences. What’s missing ?? . . . Employees. We continue to spend so much time on systems, culture, transactional items and compliance which all affect people, but do you spend time wondering what matters to them? Let me give you an example . . .
I’m sure everyone has a “bucket list” that they’d like to complete before they no longer have a chance to do that. Next Tuesday, I get to check something off the list when I get to see U2 in concert in Chicago with three of my lifelong best friends. I can’t wait !! 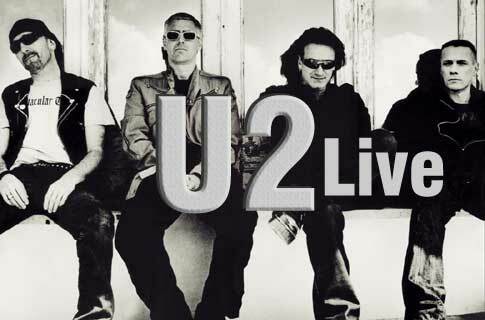 I’ve been a major U2 freak ever since they came out as a group in the mid-70’s. I have all of their music (including bootlegs) and have read about them in books, blogs, articles, etc. 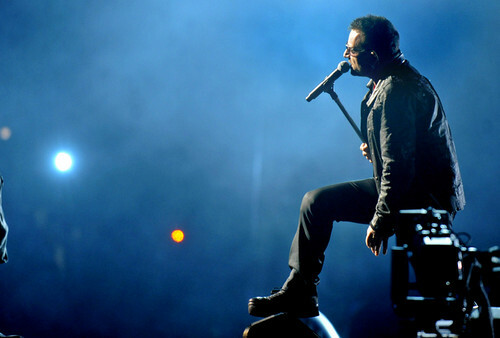 Now, you may not be a U2 fan, and it may not matter to you. I get that. Not everyone should like the same things. As HR professionals, though, do you find out what matters to your employees? Or, does that take too much time? I find myself more and more learning about the lives and bucket list items of those I work with because it has so much value. It may not be my interest, or what I would choose to do, but it matters to them. I think if HR people spent more time with their employees vs. worrying about their own identity within the organization – HR would blossom into what it is called – HUMAN Resources. So, my challenge to all of us in this phenomenal profession is this – take the time to know those around you. Don’t get mired in systems and other things that make you feel “busy” while ignoring the best thing around you – people. Have a great holiday weekend !! 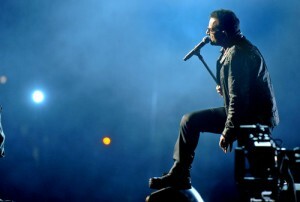 I’m going to be with thousands of new people jammin’ with Bono and the boys !!! Peace to all. Author Steve Browne (Admin)Posted on June 30, 2011 Categories Leadership, Random ThoughtsTags employees, encouragement, HR, HRBlogs, HRevolution, LeadChange, Leadership, SHRM6 Comments on Do you care ?? Will it Make a Difference ?? As I’m typing this post, many of my peers and friends are enjoying the SHRM11 Annual Conference. Yes, I am jealous because I always enjoy being with others who share my passion of HR !! 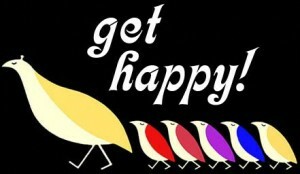 The tweets that are flying under the #SHRM11 hashtag are great to read, but they lack in that personal experience. Ah, well, maybe next year . . . The question I want to pose to the 14,000+ HR pros who have gathered at SHRM11 is . . . Will it Make a Difference? Will attending the largest gathering of those in your profession change how you approach HR when you return to your various workplaces? When the lights and sites of Las Vegas dissapate, will you be making more of an impact in HR, or will you go back to the norms and ways you are following today? I hope it transforms you !! You can’t miss the chance to attend events like this and not come away with great things like new contacts, a broader vision of what HR offers, a new way to tilt the windmills that face you on a daily basis !! Don’t just get enamored by the great keynotes, the great vendor events and the endless piles of swag you’ll take home from the Exhibit Hall. Use this time away from the office this week to come back energized, enthusiastic and willing to move your company forward !! So, don’t disappoint me you 14,000+ HR folks attending SHRM11 !! I know you’ll have a wonderful time, meet and catch up with wonderful peers . . . just remember to come back and make a difference personally, professionally and for HR as a whole !! I can’t wait to see what you’ll do !! Author Steve Browne (Admin)Posted on June 26, 2011 Categories HR Strategy, LeadershipTags Change, Difference, Diversity, HR, HR Conferences, HRevolution, Human Resources, OHSHRM, SHRM, workplaceLeave a comment on Will it Make a Difference ?? You just had to know that I was going to use this title at some point . . . .
Next week thousands of HR pros will convene in Las Vegas for SHRM11 and there are people all over the profession with differing views about the event. But, I tend to lean more toward Charlie Judy’s viewpoint that it is a significant event for HR pros to attend. The realization that we need to be continuously seeking professional development is a fact and not just something to comply with HRCI. You see, if we don’t continue to learn more and be effective in our knowledge – we lack relevance. Remaining relevant in today’s business environment is honestly our biggest challenge !! You can cloak it in many different ways, but if we aren’t relevant, we will cease to exist. So, what can all of us do to combat this? Go to conferences !! Unfortunately, I can’t attend SHRM11 and I am bummed because many of my friends from all over the country are going to attend and I am jealous. However, I want to make sure that all of you also consider another great venue that is a viable option – the State SHRM Conferences !! The 2011 Wisconsin SHRM Conference happening 10/12/11 – 10/14/11 in Madison, Wisconsin. They offer an incredible program with solid keynotes from Rich Horwath and Scott Christopher and are celebrating their 25th Anniversary as a State SHRM Conference !! The 2011 Indiana State HR Conference on 8/29/11 – 8/31/11 in Indianapolis, Indiana features two great keynote as well – Steve Gilliland and Marcus Buckingham !! The HR Florida State Conference & Expo also happens on 8/29/11 – 8/31/11 in Orlando, Florida. Their keynotes include Tony Hseih, Lisa Ling and Daniel Pink !! The 2011 Illinois HR Conference and Exposition will happen a week earlier on 8/22/11 – 8/23/11 in Chicago, Illinois. The theme of HR Leaders: Inspire, Support and Challenge will be anchored by keynotes from Ryan Estis, Jason Lauritsen & Joe Gerstandt and also China Gorman. 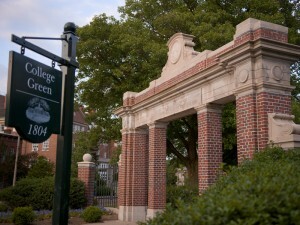 And I would be remiss if I didn’t mention Ohio’s conference – HR Rocks !! You see, I’m the Chair of this year’s Conference and I’m so excited I could pop !! Our program has been certified for 17.25 HRCI credit hours with 9.25 hours being Strategic !! The conference happens 9/21/11 – 9/23/11 at the Kalahari Resort in Sandusky, Ohio. Our keynotes include Simon Bailey and China Gorman and our program features many of the thought leaders you follow in the world of Social Media !! I hope you can attend these great conferences and I would LOVE to feature all of the great State SHRM Conferences that happen all across the county !! We need to understand that there is one more INCREDIBLE benefit from attending these events. HR gets more connected !! We need to continue to do this intentionally because we are stronger together vs. trying to fight the good fight on our own. So, I’d like to offer to all SHRM State Conference folks out there, get in touch with me so we can get further connected !! It would ROCK !! Author Steve Browne (Admin)Posted on June 19, 2011 Categories HR Strategy, LeadershipTags Development, HR, HR Conferences, HRBlogs, HRevolution, Leadership, OHSHRM, SHRM, Training1 Comment on HR Rocks !!! When we in the wacky world of HR talk about the importance of “engagement,” are we talking about others or ourselves? Seriously. I’ve been really contemplating this lately and I continue to feel perplexed when I see Conference sessions, blog posts, and white papers on the importance of engagement, but it always seems to be about someone else. If HR isn’t engaged, why should we expect others to be engaged? Have you asked yourself if you really love being in HR? Don’t get me wrong, this is not a “why people hate HR” post. This is a challenge to see if you’re truly in the field you enjoy. I find that the people who manage their careers the worst are people in HR. We will go out of our way to help others in their career endeavors, but we shy away from taking this and being intentional. Remember – If you don’t manage your career . . . it will manage you !! I’ve learned this through personal experience and also from watching others who continue to state that they struggle with being effective in our field. Trust me, there’s no other field I’d rather be in !! I keep seeing posts encouraging people to attend #SHRM11 and I hope that people do because events like this can be spectacular . . . with a catch. If you aren’t going to forums like this to network, seek great professional development and also learn to be a better HR professional, then you’re just missing out. Take these opportunities to move yourself ahead so that, in turn, you can return to your company to move them ahead as well !! So, take some time to reflect. Get rid of any indecision. 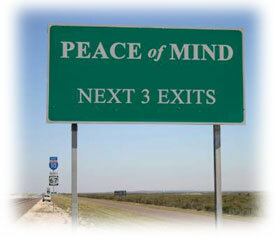 It would be great to look around in our field and see people who really had that peace of mind to make HR rock !! Come on and join in !! Author Steve Browne (Admin)Posted on June 13, 2011 Categories HR Strategy, LeadershipTags Change, GCHRA, HR, HR Conferences, HRBlogs, HRevolution, Leadership, OHSHRM, SHRM4 Comments on Peace of Mind !! I was reminded of this ballad this weekend when I went on a college visit with my amazing daughter to my Alma Mater, the wonderful Ohio University. To say I was geeked would not be a good enough word !! I wanted to show her everything that I remembered. The classrooms, College Green, West Green, the Convocation Center – just everything. As I pulled in I was captured in my memories, but some things looked different. I shouldn’t have been surprised having graduated back in 1986, things would have to change, but it still surprised me. The architecture was the same. The beauty of the mature trees was still there, but there were new things. Really cool things like the amazing Baker University Center. The new features on campus really did make it better and, even though is altered my memory of the past, I liked the new additions and even wished that some of them had been around when I went to OU. Oddly enough, it reminded me of work places today and how HR likes to hold onto the past. We are notorious for it. We come up with an amazing Performance Review system that we did back in 1986 and we wonder why people think it’s stale today. You can pick almost any area of HR and it seems that practitioners lag in moving things forward. What we don’t realize is that the business environment will change around us whether we want it to or not. So, we can embrace the new environment, or better yet, we can stay on the leading edge and create it !! Time will keep flowing either way. This college visit opened my eyes to two things – (1) My family gets to enter a new and exciting stage with our oldest child entering a new phase of her own and (2) the past is great, but the future is so much brighter !! She hasn’t chosen her college yet, but she has enough Bobcat paraphernalia to give her a daily hint . . . Oh, yes, one other thing. I did manage to pick up some new tye-dye because some things from my OU past still are current !! Tomorrow is Memorial Day. It’s the holiday where we remember those who have fallen while in service for their country in the Armed Services. Don’t panic – this isn’t a political diatribe or something meant to shake you up. Just the opposite. I wanted to let you know why this holiday matters to me. You see, I’m an Army brat. I am the first of two sons born to Staff Sergeant John Thomas Browne. I was born on an Army base in Nuremburg, Germany back when there was an East and West Germany. My Dad served in the Vietnam War and was unique. He wasn’t drafted, he chose to enlist. I can tell you amazing stories about my dad like when he fell off the back of a jeep riding through base and a tank ran over him (literally) and he was barely scratched. Or, I could tell you about the tours he did in Vietnam fighting on purpose for our country and directing action with other soldiers while only in his early 20’s. My dad was a devout Detroit Lions fan and I remember curling up with him on the couch to watch the Lions take on the hated Packers. Sadly, these are only memories. My dad passed away in 1968 at the age of 26. I was four years old and my brother was two. Most of our stories come from pictures and memories from those who knew him. This week my mom sent me the commendation letter for the Bronze Star that my dad earned for heroic efforts leading his battalion while wounded in the battle of Ia Drang Valley. He laid in a field which had been sprayed with Agent Orange the day before with an open neck wound for 25 hours, but he led his men with no concern for himself. It brought me to tears because I have that Bronze Star. 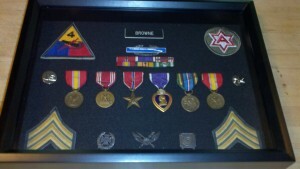 This is a picture of the awards my dad earned that my wife lovingly put together as a Christmas present for me one year. 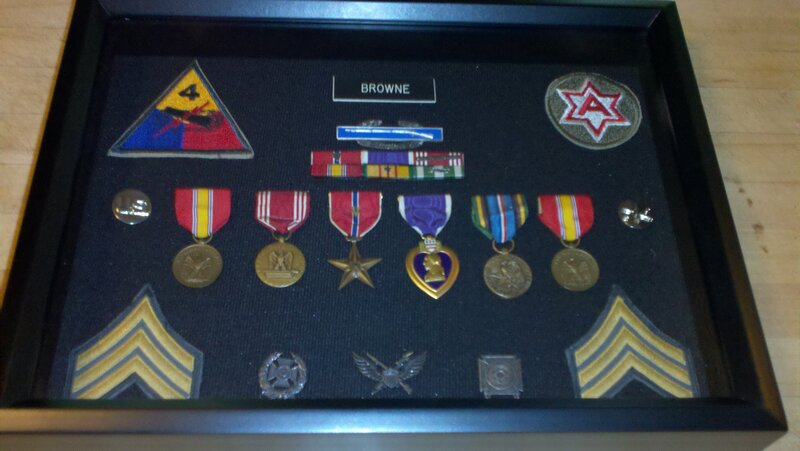 It is displayed proudly in my house as a reminder of my dad’s service. Tomorrow I get the privilege of marching in the Memorial Day parade in West Chester, Ohio with Boy Scout Troop 941. I am humbled to be their Scoutmaster. We will march for two miles in the hot sun to a cemetery to honor those that have fallen in combat. The boys in our Troop saw these medals and why Memorial Day matters . . . at least to me. Tomorrow, don’t just be thankful for a day off or for a great excuse to gather with family and friends. Be thankful for those that serve in the Armed Forces. I know I am. Author Steve Browne (Admin)Posted on May 29, 2011 Categories Random ThoughtsTags Boy Scouts, encouragement, HR, HRBlogs, HRevolution, Memorial Day, SHRM, Veterans, Vietnam11 Comments on Why it matters . . .